Looking for the perfect, from the kitchen treat for your Valentine? 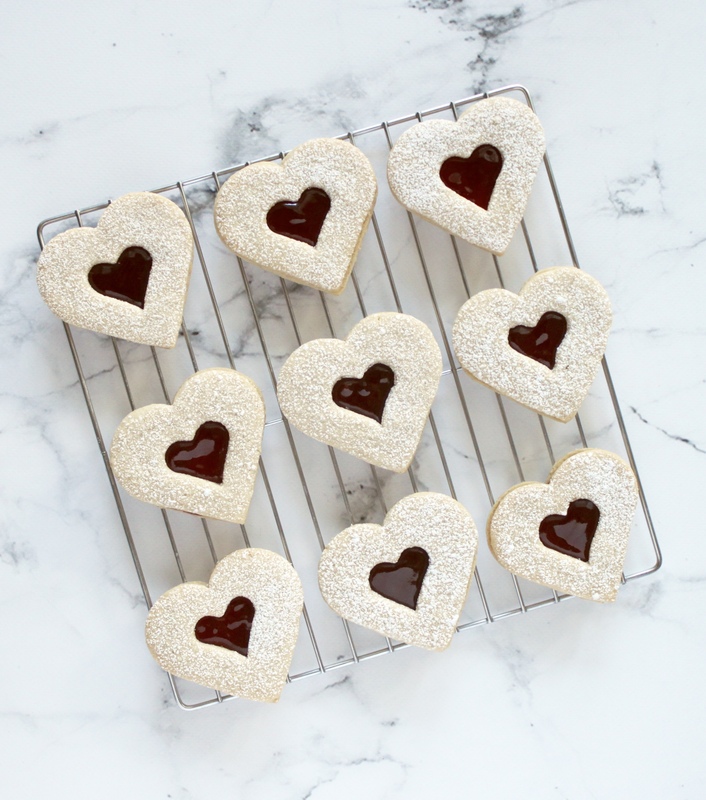 Look no further, these Valentine’s Linzer Cookies are just the ticket. 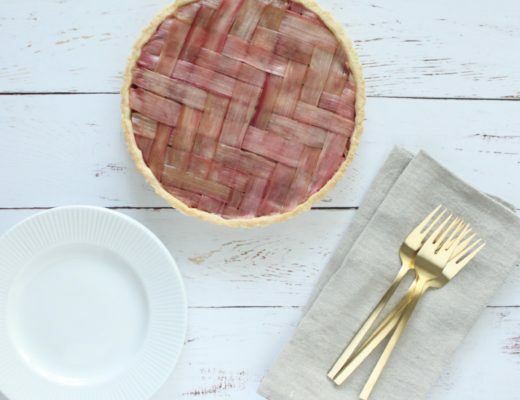 Easy to make and delicious, your Valentine is sure to be impressed. 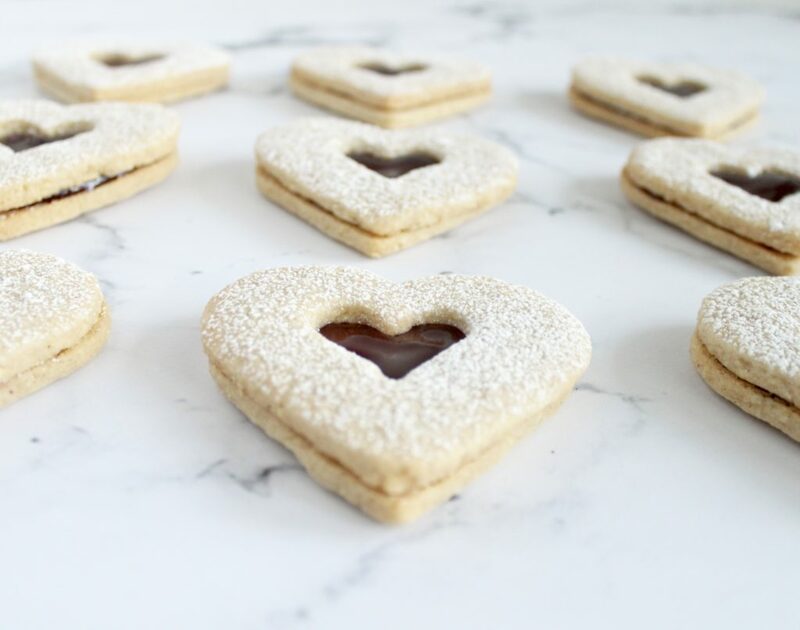 Linzer cookies are a play on the Linzertorte, an Austrian treat believed to have originated in the 1700s. The torte traditionally consists of a crust made of ground almonds and filled with black currant jam. Linzer cookies take two almond flavoured butter cookies and sandwich them together with a layer of jam. 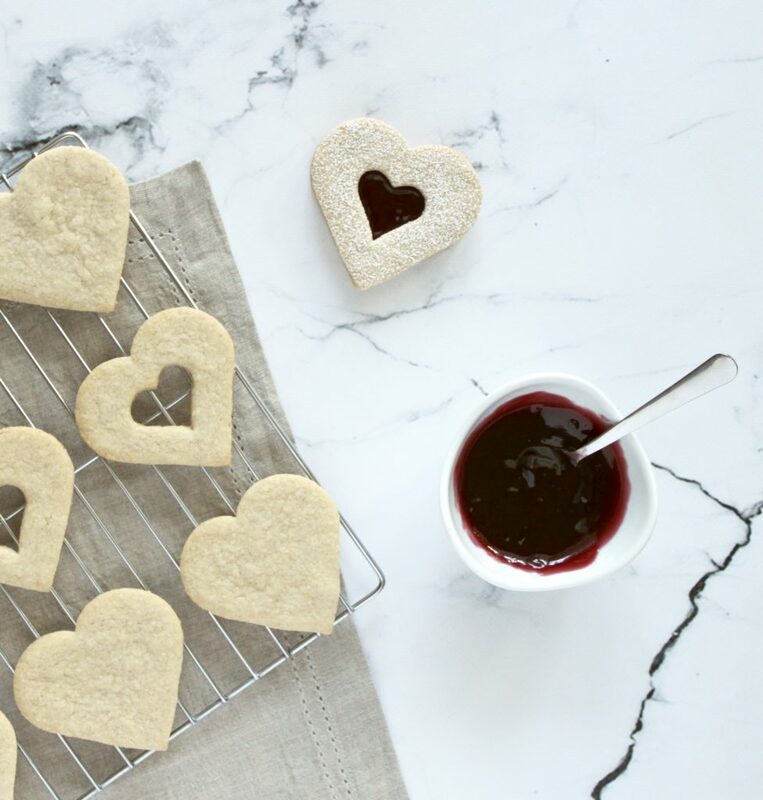 While any jam will do, I choose raspberry, since it is the season of love 😉 Truth be told, I actually made raspberry jam with the intention of using it in these cookies. But what I didn’t consider were the seeds! Not the most palatable, so store bought seedless raspberry jam is what I ended up using. History and misguided jam aside, these cookies have been a huge hit. I’m so excited for you to try them and share your thoughts! Preheat your oven to 350 degrees F with the oven rack in the center of the oven. Place the almonds on a baking sheet and bake about 8-10 minutes, or until lightly browned and fragrant. Remove from oven and cool. Place nuts in a food processor, along with 1/4 cup sugar, and process until finely ground. In a separate bowl, whisk or sift together the flour, cinnamon, salt, and lemon zest. In the bowl of your electric mixer (or with a hand mixer), beat the butter and remaining 1/2 cup sugar until light and fluffy (about 2-3 minutes). Beat in the vanilla extract and egg yolks, followed by the ground almonds and flour mixture. Divide the dough in half, cover each half with plastic wrap, and refrigerate until firm (30-60 minutes, or up to two days). Remove one ball of dough from the refrigerator. On a lightly floured surface roll out the dough until it is about 1/4 inch thick. 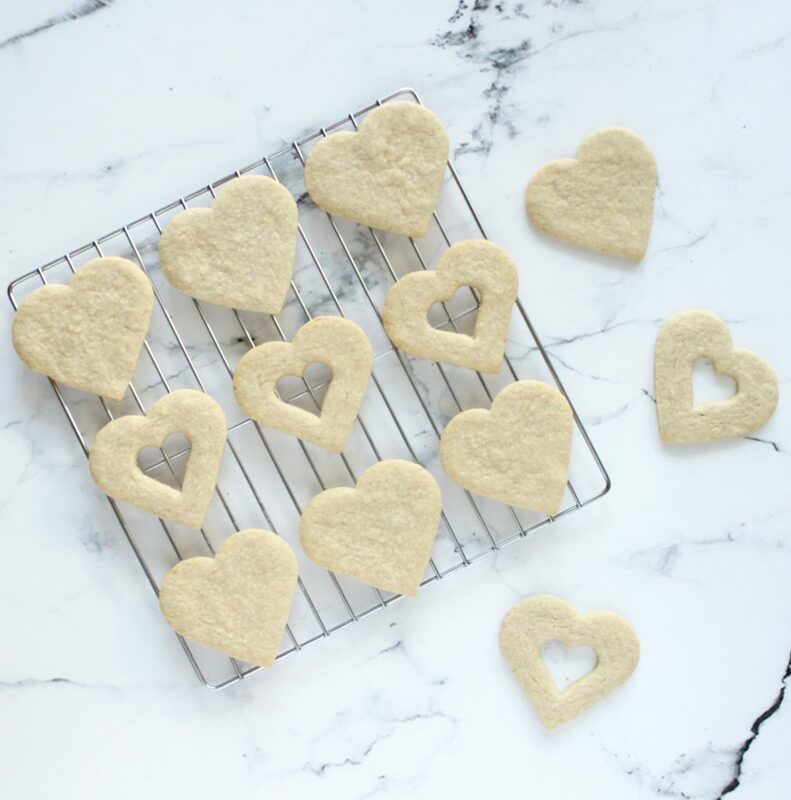 Using a 3 inch cookie cutter (any shape will do, but since these are for Valentine’s Day, I went with hearts 🙂 ) and cut out the cookies. Use a smaller cookie cutter to cut out the centers of half of the cookies and place both sets of cookies about 1 inch apart on the prepared baking sheet. Re-roll any scraps and cut out the remaining cookies. Repeat with the second ball of dough. If you find the cookies are soft, place the baking sheets with the unbaked cookies in the refrigerator for about 10 minutes to chill the dough. This will prevent the cookies from spreading and losing their shape when baked. Bake the cookies for 10-12 minutes or until lightly browned around the edges. Remove from oven and place on a wire rack to cool. 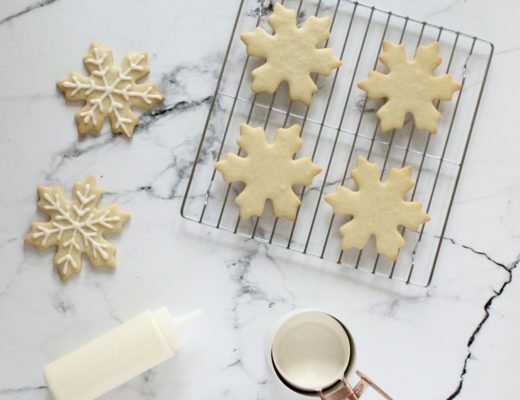 To assemble the cookies, place the cut out cookies on a baking sheet and lightly dust the tops with powdered sugar. Spread a thin layer of jam on the bottom surface of the full cookie (top of cookie will face out). Place the cut-out cookie on top and gently sandwich them together. 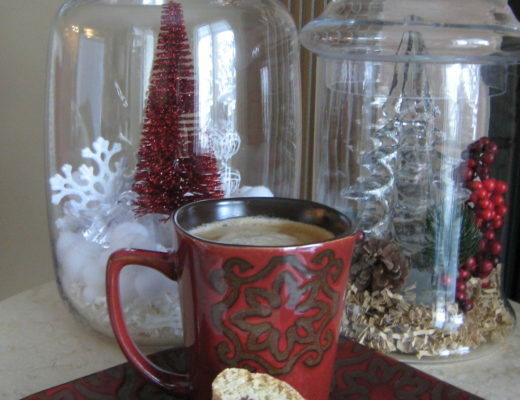 The assembled cookies can be stored in the refrigerator, in an airtight container, for several days.